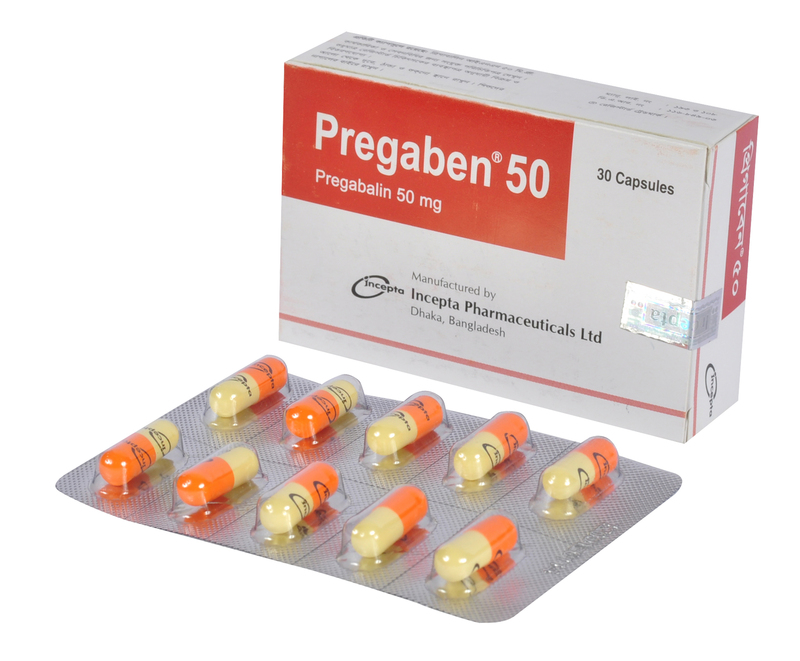 Pregaben 25: Each capsule contains Pregabalin INN 25 mg.
Pregaben 50: Each capsule contains Pregabalin INN 50 mg.
Pregaben 75: Each capsule contains Pregabalin INN 75 mg.
Pregaben 150: Each capsule contains Pregabalin INN 150 mg.
Pregabalin is a structural derivative of gamma-amino-butyric acid (GABA). It does not bind directly to GABAA, GABAB, or benzodiazepine receptors. It binds with high affinity to the alpha 2-delta site (an auxilliary subunit of voltage-gated calcium channels) in central nervous system tissues. Oral bioavailability of Pregabalin is 90%. Pregabalin is eliminated largely by renal excretion, and has an elimination half-life of about 6 hours. Pregabalin can be taken with or without food. Partial seizure / epilepsy: Pregabalin is also indicated as adjunctive therapy for adult patients with partial onset seizures. The maximum recommended dose of Pregabalin is 100 mg three times a day in patients with creatinine clearance of at least 60 mL/min. Dosing should begin at 50 mg three times a day and may be increased to 300 mg/day within 1 week based on efficacy and tolerability. The recommended dose of Pregabalin is 75 to 150 mg two times a day, or 50 to 100 mg three times a day in patients with creatinine clearance of at least 60 mL/min. Dosing should begin at 75 mg two times a day, or 50 mg three times a day and may be increased to 300 mg/day within 1 week based on efficacy and tolerability. 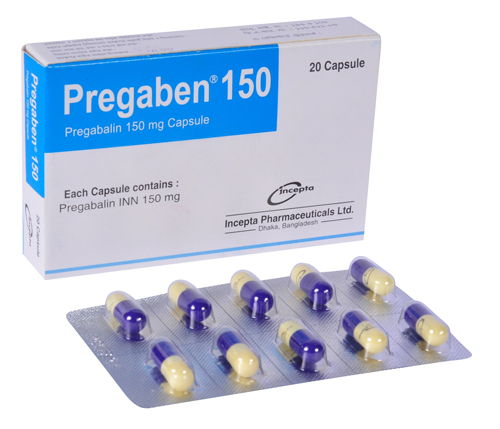 The recommended dose of Pregabalin is 150 to 600 mg/day as adjunctive therapy in the treatment of partial onset seizures in adults. 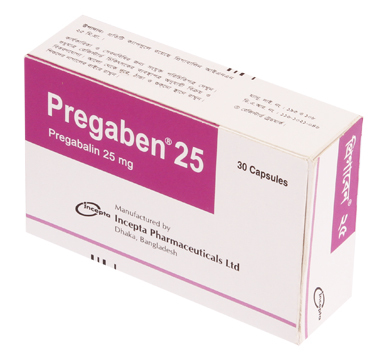 Pregabalin is well tolerated but a few side effects like dizziness, somnolence and blurred vision may occur. Abrupt or rapid discontinuation of Pregabalin may produce some symptoms including insomnia, nausea, headache and diarrhoea. So Pregabalin should be tapered gradually over a minimum of 1 week rather than discontinued abruptly. Pregabalin treatment may associate with creatine kinase elevations. It should be discontinued if myopathy is diagnosed or suspected or if markedly elevated creatine kinase levels occur. 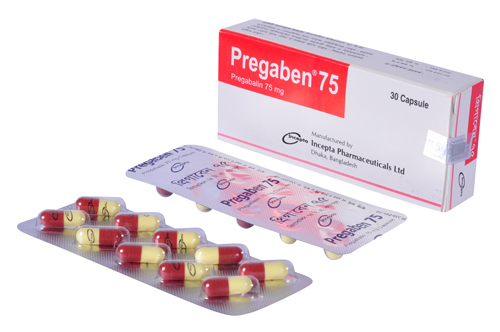 Pregnancy: Pregabalin is a pregnancy category-C drug. It should be used during pregnancy only if the potential benefit justifies the potential risk to the fetus. Lactation: Pregabalin may be secreted through the breast milk like other drugs, so it should be used in nursing women only if the benefits clearly overweigh the risks.